Those awaiting results of August 2014 Marine Engineer Officer board exam may find here complete list of passers, top 10 (topnotchers), top performing school and performance of schools as the Professional Regulation Commission (PRC) and Board for Marine Engineer Officers released results in 4 working days after the exam. UPDATE: PRC on Thursday announces that 26 out of 37 passed the CHIEF MARINE ENGINEER OFFICERS LICENSURE EXAMINATION, 126 out of 209 passed the SECOND MARINE ENGINEER OFFICERS LICENSURE EXAMINATION and 260 out of 458 passed the OFFICER-IN-CHARGE OF AN ENGINEERING WATCH LICENSURE EXAMINATION. The examination was given in the cities of Manila and Cebu on Thursday and Friday, August 7-8, 2014. The members of the Board for Marine Engineer Officers who gave examination are Engr. Miguel O. Marasigan, Officer-in-Charge; Engr. Victoriano A. Alojado, Engr. Ferdinand R. Pascua and Engr. Eldefonso G. Uba, Members. Marine Engineer Officer board exam covers the following subjects: Marine Engineering and Electrical, Electronics and Control Engineering, Maintenance and Repair and Controlling the operation of ship and care for persons on board. In February 2014 licensure exam, results were released after four (4) working days from the last day of test. 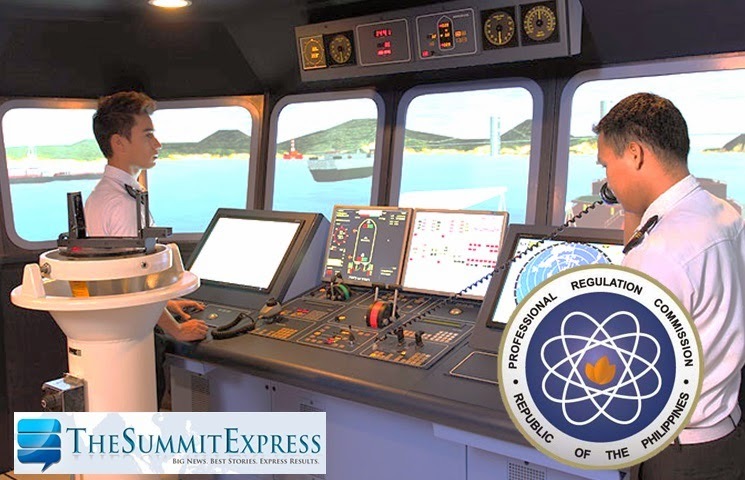 PRC named a total of 27 out of 45 who passed the CHIEF MARINE ENGINEER OFFICERS LICENSURE EXAMINATION, 186 out of 304 who passed the SECOND MARINE ENGINEER OFFICERS LICENSURE EXAMINATION and 220 out of 358 who passed the OFFICER-IN-CHARGE OF AN ENGINEERING WATCH LICENSURE EXAMINATION.